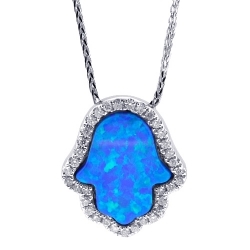 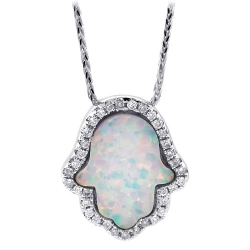 Our Hamsa Hand necklace has a modern appeal! 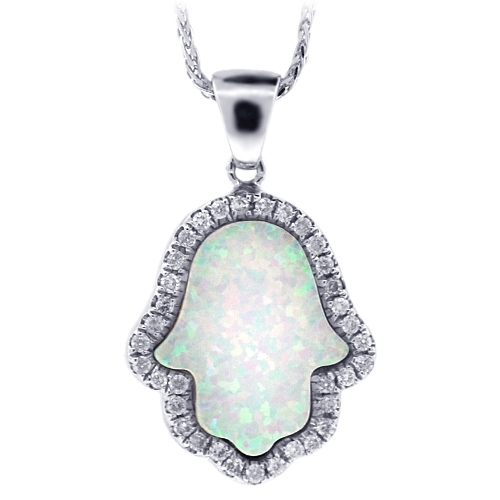 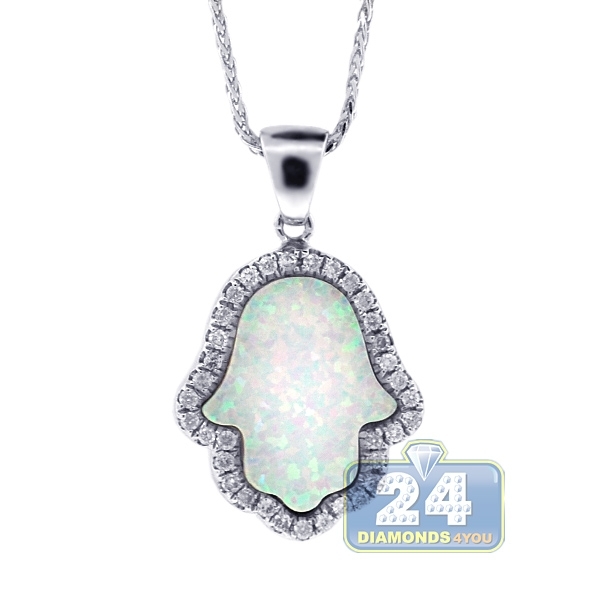 Masterly handmade of lustrous 14k white gold, it's amazed with genuine white opal that surrounded with 0.20 carat of icy white round-cut diamonds. 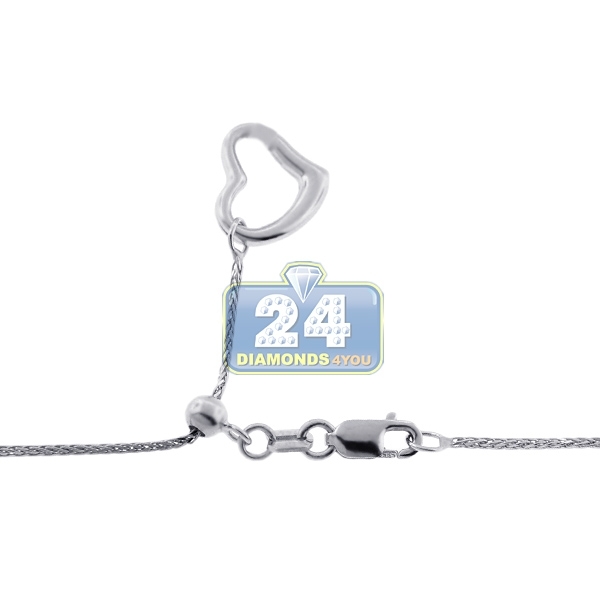 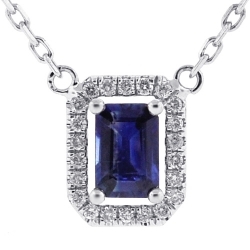 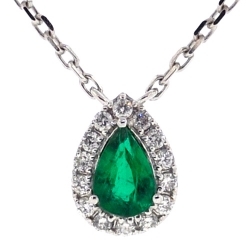 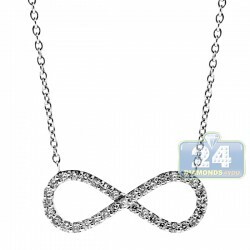 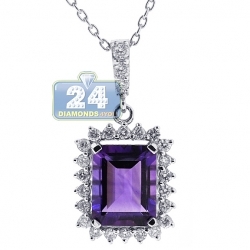 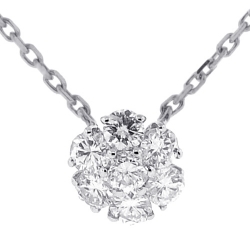 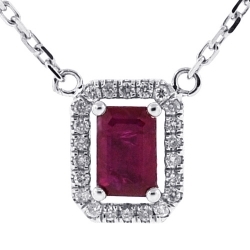 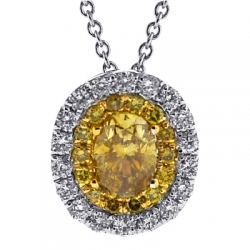 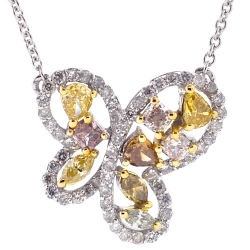 It features a gorgeous chain that adjusts from 18 inches by sliding the adjuster on the clasp. 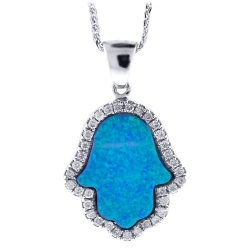 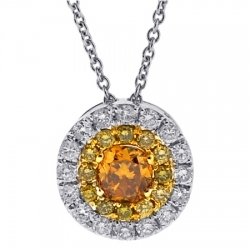 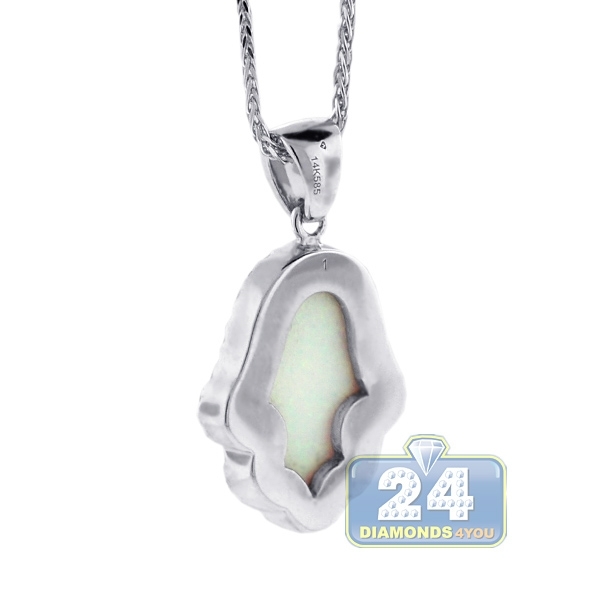 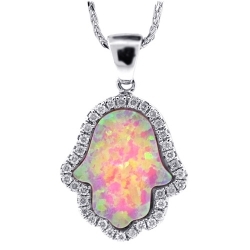 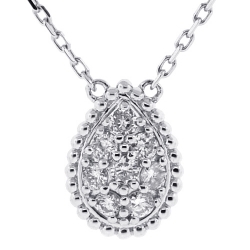 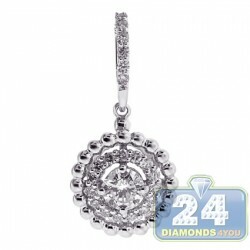 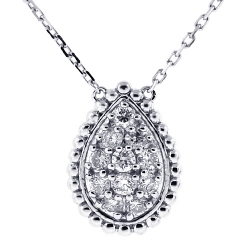 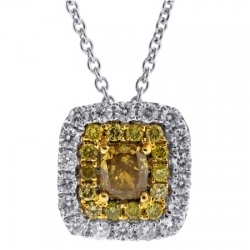 This women's pendant is believed to protect against negative energy!